Most kids can spend hours crouching by the shore, building sandcastles and watching them crumble every time a wave comes along. You shouldn’t muck up their fun with pressure to build like a professional. But if your child aspires to be the next Frank Lloyd Wright, we’ve got some tips on building a castle that lasts. First, choose your site wisely. If you build too close to the water’s edge, your castle will disappear with the first wave. Build too far back, though, and you’ll have to dig forever to reach the water table (the spot where water seeps up from the ground.) 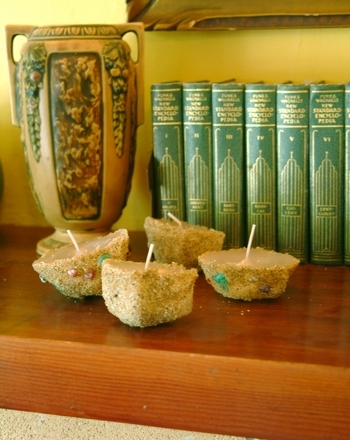 Fine-grained sand works best, but don’t despair if your beach is more gravel than powdered sugar. 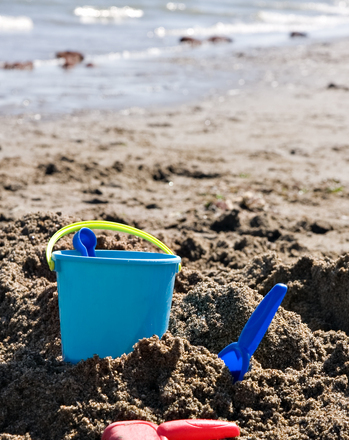 Use a shovel to dig down to the water table, then dig out very wet handfuls of sand. Spread a few bucketfuls out and level, that’s your foundation. Now, dip back into the hole of wet sand and use your hands to gently create round discs for towers and rectangular bricks for walls. Do not squeeze or press the sand, you want it very, very wet. 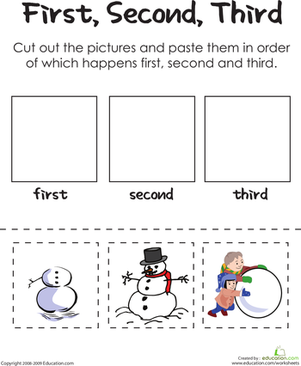 Stack the shapes into towers and walls, tapering in size slightly as you go so the upper layers don’t topple over. The weight of the water and gravity will compact the sand, helping it stick together as it dries. The pros (yes, there are people who build sandcastles for a living!) purchase tools to build and decorate their masterpieces, but you’ll do fine with plastic flatware, a paintbrush, and some plastic figures. Use a plastic knife or sharp stick to carve windowpanes and brick walls. Dig out a surrounding moat with a spoon and stock it with toy fish. Use a paintbrush to brush away loose sand and debris. Carefully carve turrets on your tower and mark it with a twig flag. Let your budding architect use imagination, drip soaking wet sand over the walls for a wet cement look, hollow out an arch, lay a walkway of seashells. Voila! Home, sweet home, at least until high tide. Many animals have unique and interesting ways of building their homes. Future world travelers can get started mapping out their journey with this Empire State Building coloring page. 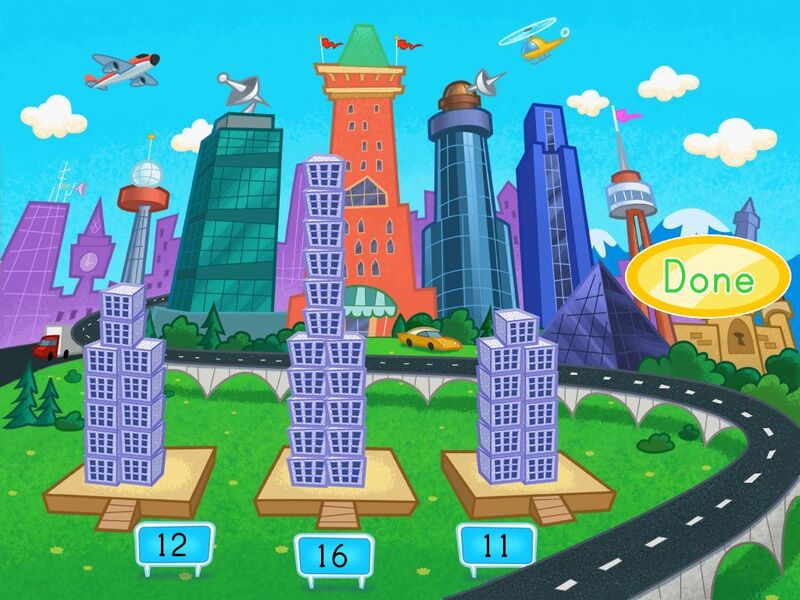 Kids find the missing numbers and use their knowledge of inverse operations to solve the addition and subtraction problems by building fact family houses. 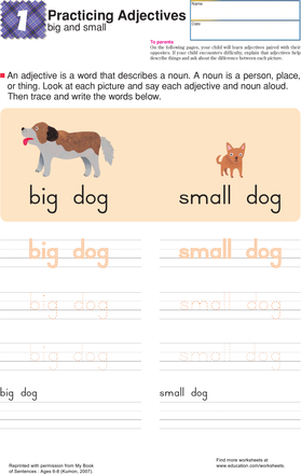 This four-page worksheet will help your first grader with his sentence building skills, as he adds adjectives to nouns to build longer sentences. 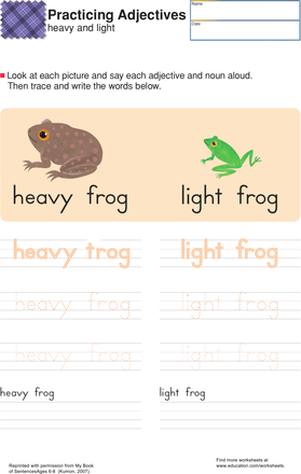 This four-page worksheet will help your first grader with his sentence building skills, as he add adjectives to nouns to make ever longer sentences.